The origin of Baba and can be traced back to the Chinese Ming dynasty, More than 400 years ago. Princess Ham Bao-li left China to get married with the sultan (king) of Melaka. The marriage established a kinship and diplomatic relationship between the two nations. Since then many Chinese people started trading with or working in Melake, Penang and Singapore, and some of them settled down in these coastal cities. Most of these Chinese immigrants were male. Some of them married Malay women. Their sons were called " Baba" and their daughters were called " Nyonya". Broughtup in their cultural background and living habits of the both races, the Malay speaking Babas and Nyonyas in their Sarong outfits not only keep their Chinese names, but also inherited the Chinese conventional idea of men leaving the house to work and women staying at home. Thus, Nyonyas were all culinary experts before marriages- and this was the origin of Nyonya Cuisine. Nyonya dishes from Melake, Singapore and Penang differ in taste. People in Melake and Singapore, geographically closer to Indonesia, prefer a sweeter taste, the strong flavor of coconut, coriander and dill. On the other hand influenced by Thai cooking, the Penang Nyonya dishes tend to be relatively more sour and more spicy. Penang Nyonya dishes are often seasoned with belacham apart from other spices. Preparing a savory Nyonya dinner is never easy as in involves so much grinding of herbs and spices. Spices frequently used include kunyit,lengkuas,daun,peru, pandan leaves Nyonya desserts are often colorful cakes made with ingredients like sweet potatoes, glutinous rice, coconut sugar and coconut syrup. 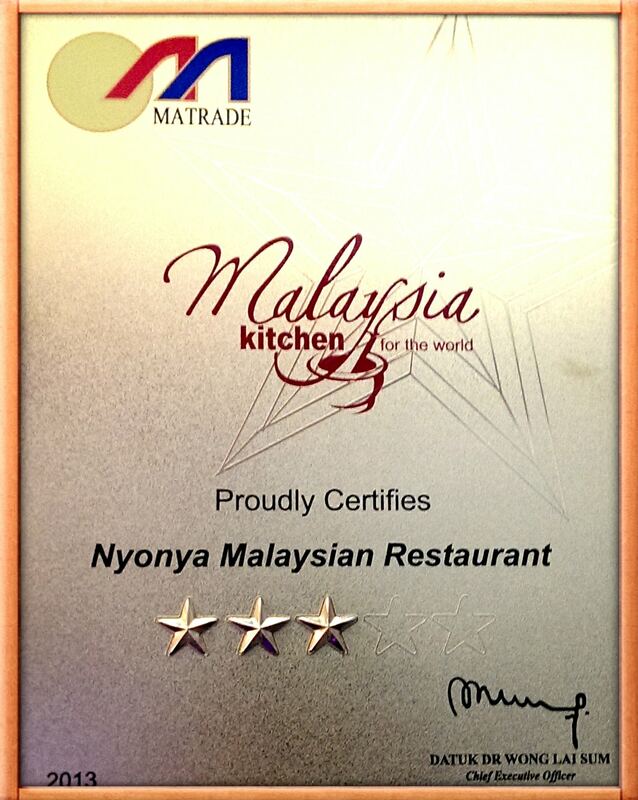 Taste real Malaysia food by visiting us!